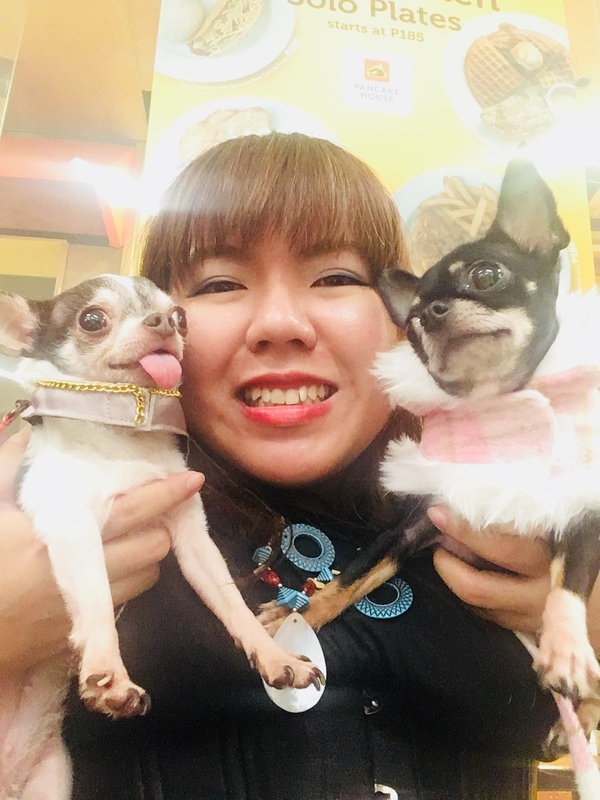 As Filipinos, we take pride in the myriads of ethnic cultures in the Philippines.This Ethnic collection uses these fabrics and turned them into Pet friendly clothing fit for the furry ones who have a place in our hearts. Abaca with floral sunburst bead work. Abaca Fabric from Mindanao. Ifugao fabric with black sunburst beading. Sagada purple fabric with wooden beads. Modern twist of Pina, polyester and satin with blue beads. Lovely yellow fabric from Benguet turned into a Labrador's vest with bead work. Model: KC. Denim with Sun patterns. Model: James. 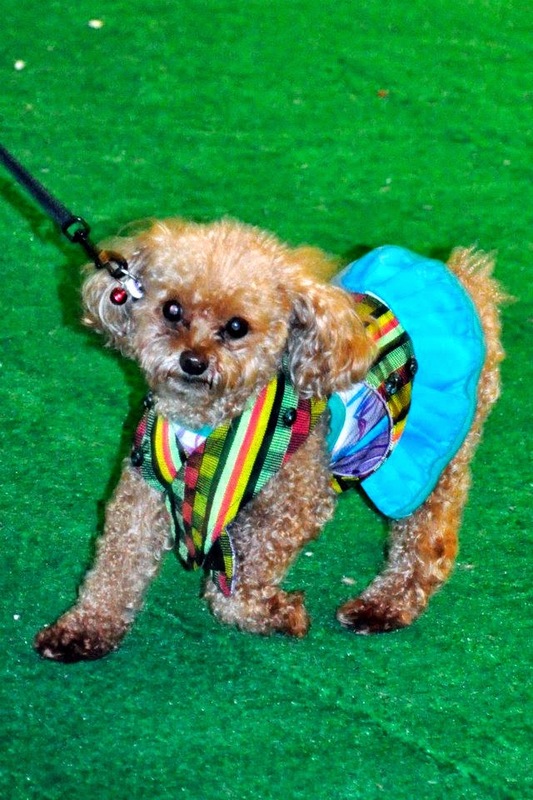 Lovely poodle in Sagada vest with wooden beads. This phot was taken by Joy Barcelon.